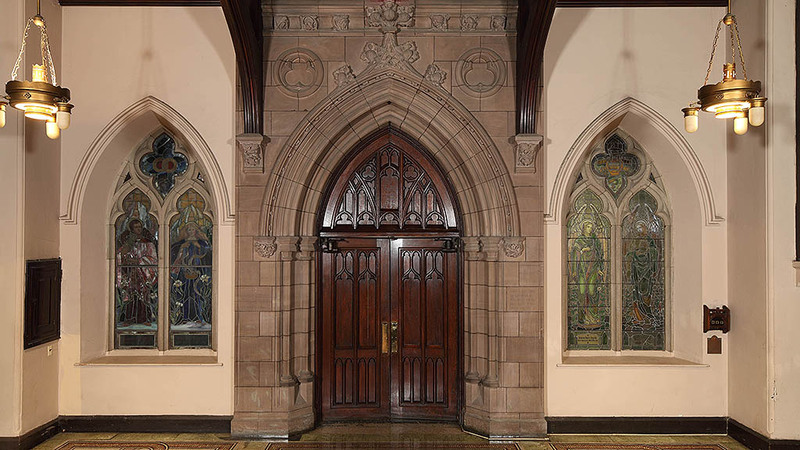 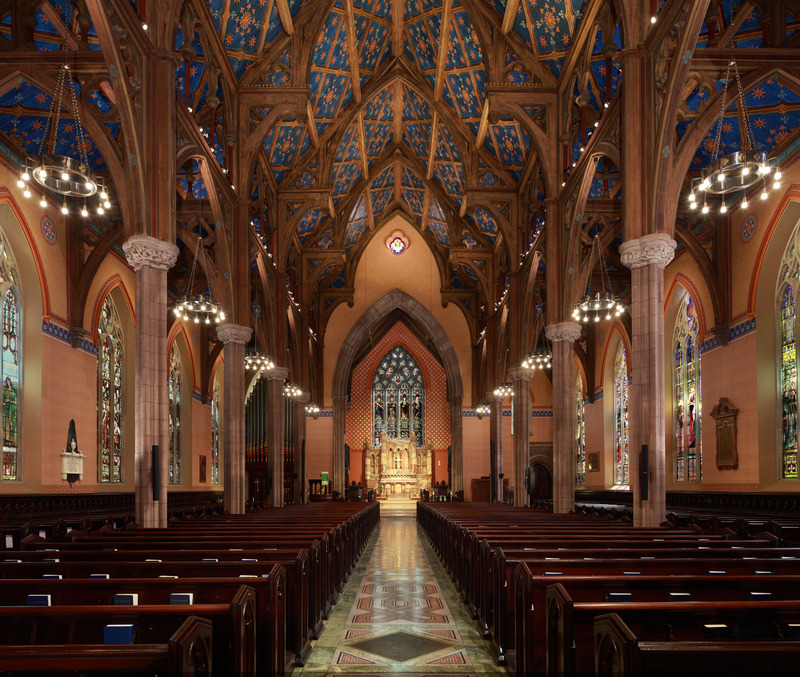 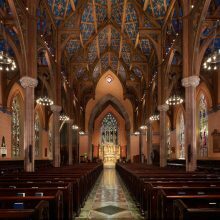 Grace Church, designed by master architect Richard Upjohn, had undergone numerous decorative campaigns since its construction. 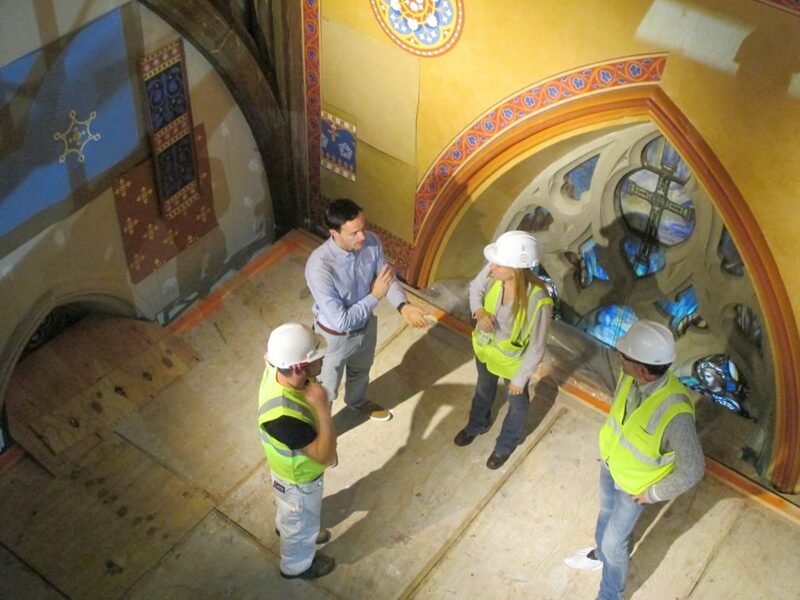 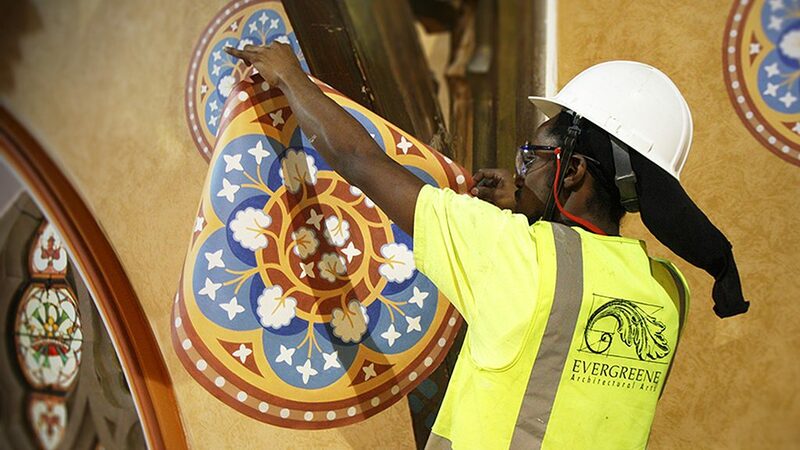 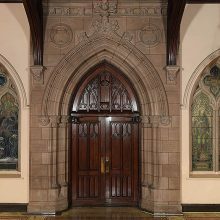 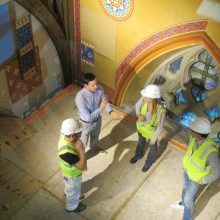 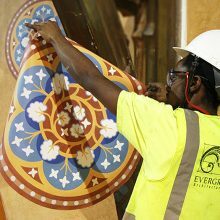 EverGreene served as conservators, designers and specialty contractors to reinstate many decorative elements from the 1866 design. 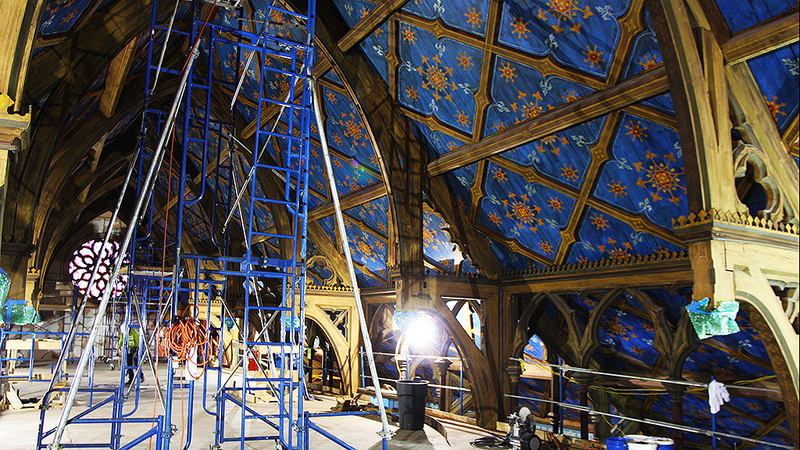 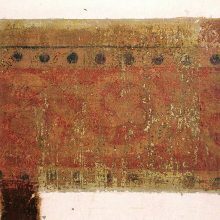 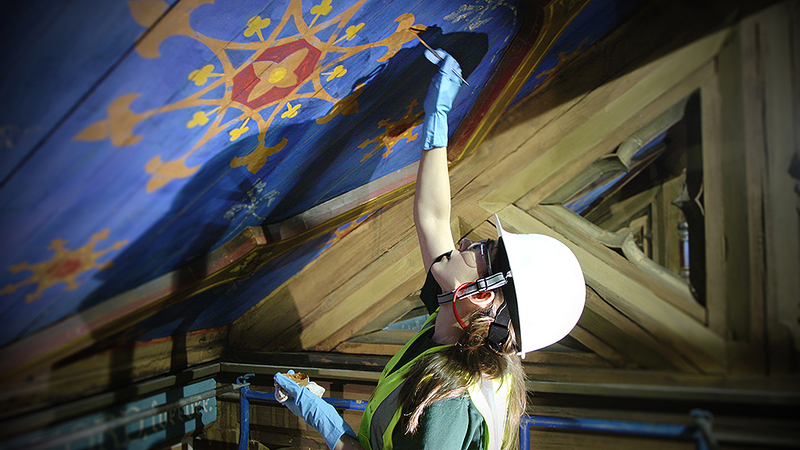 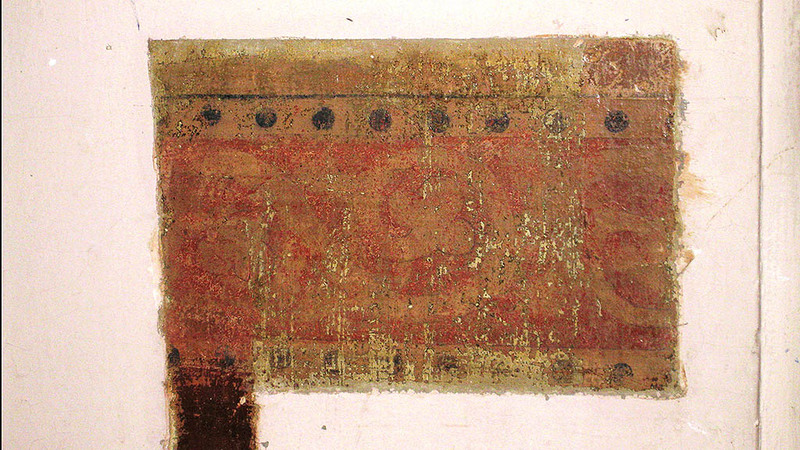 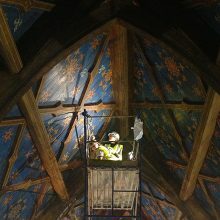 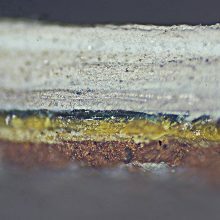 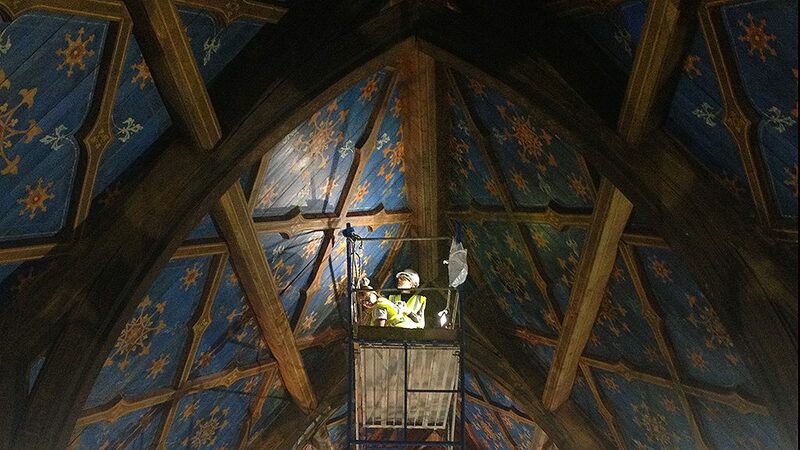 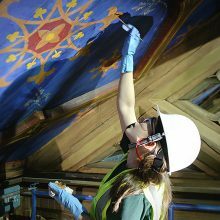 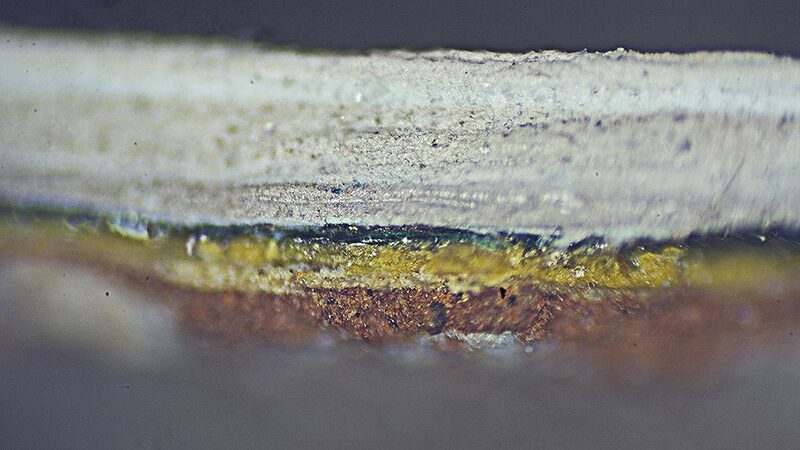 An extensive historic finishes investigation and analysis revealed, among other decoration, a brilliant blue, star-patterned ceiling under several non-historic finishes, including a faux bois finish. 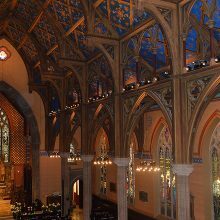 The celestial ceiling, with over one thousand stars, is seen through a canpy of wooden trusses and strapwork, representing a forest. 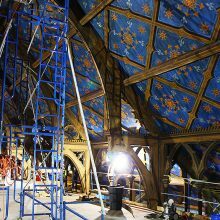 The eight-pointed star motif, as well as the three-petaled lily and sprouting seed motif on the strapwork, was found in Pugin’s “Ecclesiastical Ornament” from 1844. 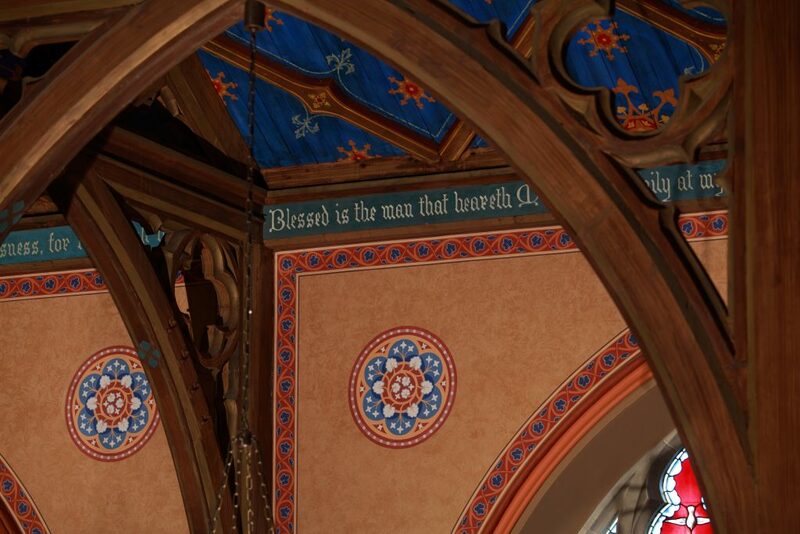 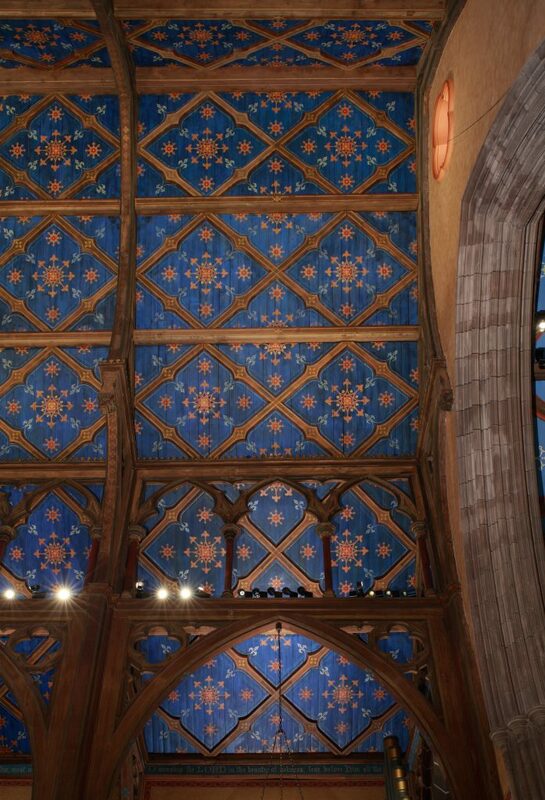 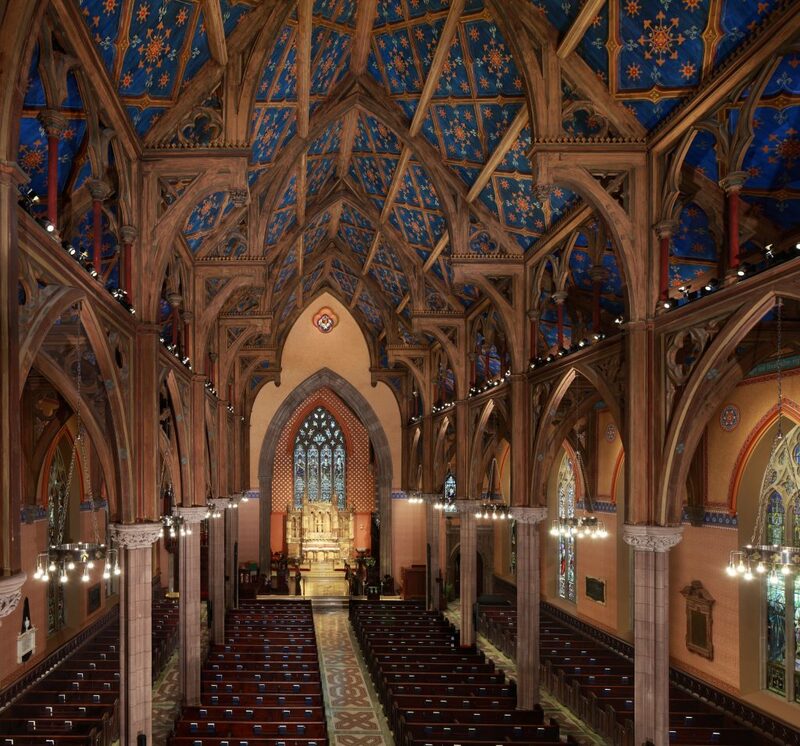 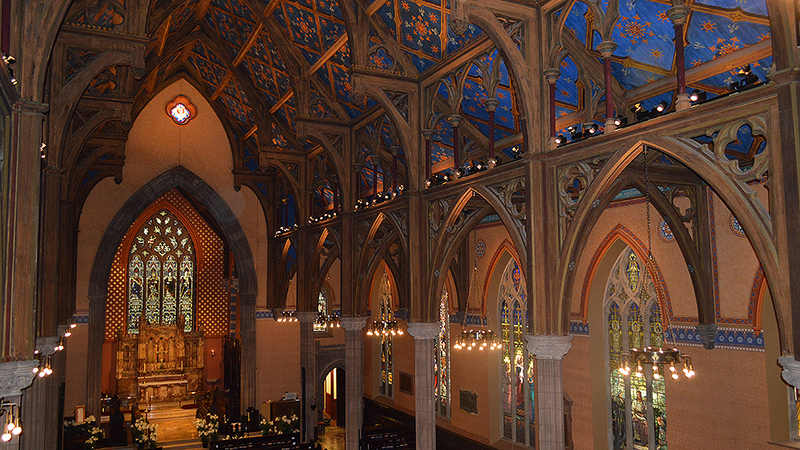 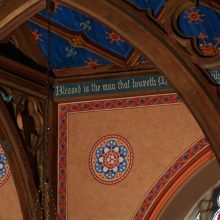 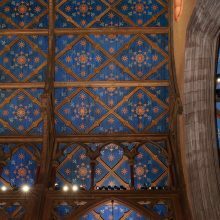 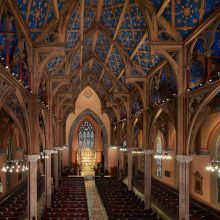 In addition to restoring and conserving the ceiling, EverGreene designed and installed historically-sympathetic ornament in the nave and the chancel. 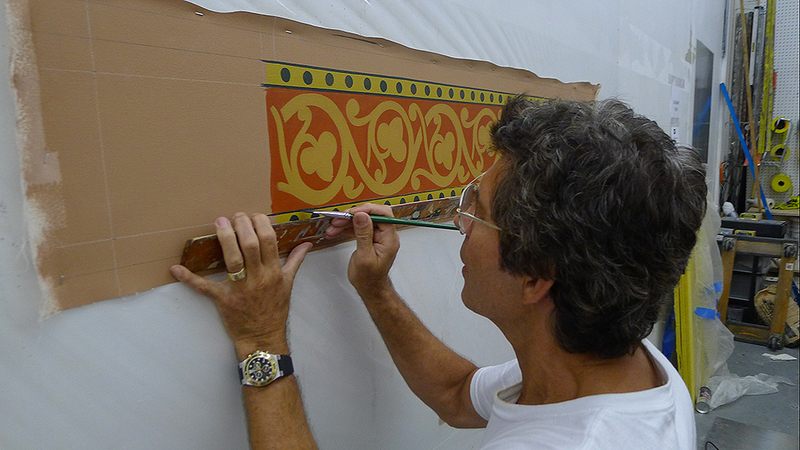 Much of the new ornament was designed and handpainted in EverGreene’s New York studio. 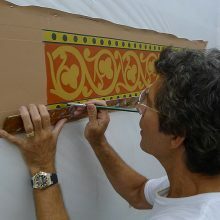 Ornament that was repetitive, a portion was handpainted, the photographed and digitally reproduced and hand-finished once installed.